Just like the Mung Bean Salad, Karniyarik wasn’t included in the initial menu for the SF Chronicle article. Instead, I wanted to do a Turkish version of a dish that could have easily filled two full pages of my taste journal if I had ever kept one. It is the Chicken Claypot I ate at The Slanted Door. I thought adding chickpeas and peppers and tomatoes from my father’s garden will definitely make the dish Turkish, but without the sugar and caramel flavor, the dish would have never shown the influence of the original. So, in short, I ditched the idea and decided to go with my most favorite Turkish dish: Karniyarik. Literally translated, karniyarik means split belly, named after the process of splitting the eggplants and stuffing them with the minced meat mixture. At the end of the post, you’ll find recipes for the rest of the menu. These recipes are, again, based on ingredients found in Turkey. Especially cooking times may differ, so if you’re living in the US, I recommend that you follow Janet’s instructions instead. You know where to find them. 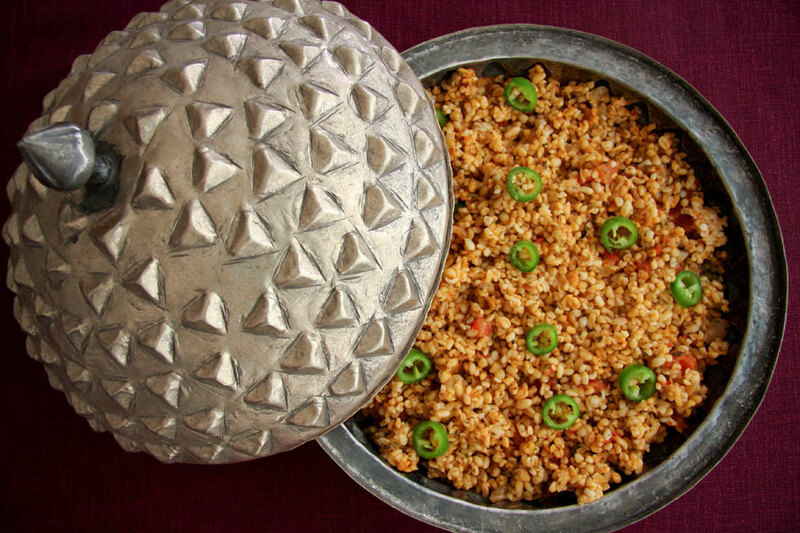 For the Bulgur Pilaf photo, I was torn between two amazing pots. And here’s the other one that was just as beautiful. The above is authentic Turkish, so it was the obvious choice. Oh, and here’s the borek dish. It is super easy to prepare. * Here’s where you can buy yufka, pastirma and Kasar cheese online. ** You can substitute breasola for pastirma. ** You can substitute Jack cheese for Kasar cheese. Cut yufka into 12 equal triangles and set aside. In a bowl, combine feta cheese and dill and mash with a fork. Place one triangle of yufka on the countertop and arrange slices of pastirma and Kasar cheese or feta cheese &dill on the wider end, fold in the sides and roll like a cigarette. Moisten the pointed tip with water and press gently to secure filling. Heat oil over medium-high heat to 375F and fry the boreks in two batches. Transfer immediately to a plate lined with paper towel to drain. Put the bulgur in a sieve and rinse under cold running water until the water runs clear. Set aside to drain. 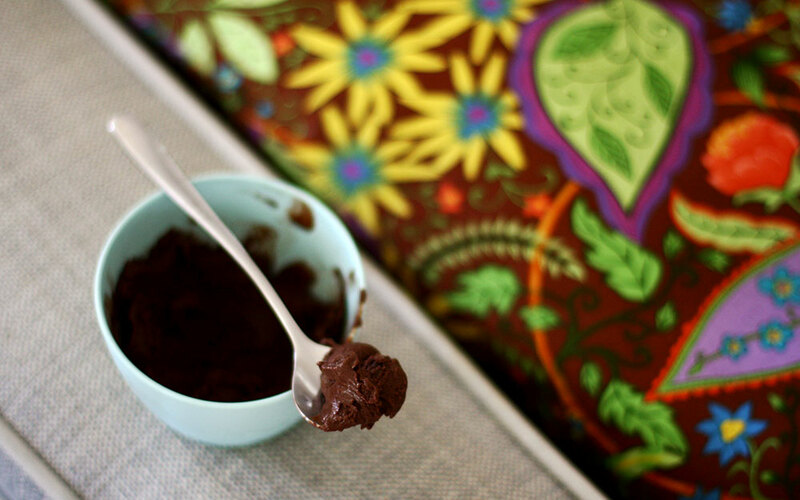 In a medium saucepan, melt butter and olive oil over medium-high heat. Add onions and saute, stirring occasionally, until beginning to brown. Add tomato and red pepper pastes and saute for another 6 to 8 minutes. Add bulgur; stir to coat. Add tomatoes, dried mint flakes, red pepper flakes, sumac, sweetbasil and salt. Add boiling water and cook covered until most of the liquid is absorbed. Continue simmering on low heat until liquid has evaporated and bulgur is tender, about 25 minutes. Remove from heat and stir in the sliced green peppers. Place a double thickness of paper towels on the surface, cover with lid and set aside to steam for 15 minutes. * You may have a hard time finding this type of pepper. You can substitute green chile for it. Pare eggplants in stripes lengthwise. Place eggplants in a large bowl of salted water, invert a plate over the eggplants to keep them submerged in water and set aside for 30 minutes to remove any bitterness. Drain and dry well with paper towels. Add enough canola oil to a large skillet to reach a depth of 2 inches. Heat oil over medium-high heat and fry the eggplants in two batches. Transfer immediately to a plate lined with paper towel to drain. Once drained, place eggplants in an oven dish and set aside. In a separate skillet, place 1 tbsp olive oil and garlic and cook over medium-high heat until garlic is evenly browned. Add diced onions and saute until translucent. In a separate skillet, place 1 tbsp olive oil with ground beef and cook over medium-high heat. Combine onions and beef and grate one tomato over the beef mixture. Add 1/2 tbsp tomato paste adjust seasoning and cook until all tomato juice evaporates. With the help of two spoons, slit eggplants into two, leaving the tops and bottoms attached. Sprinkle 1/4 tbsp sugar on each and stuff with the ground beef mixture. Slice one tomato thinly and arrange one slice and half a slice of green pepper on each eggplant. Whisk together boiling water and the remaining 1/2 teaspoon tomato paste. Spoon a little over the eggplants to moisten them and pour the rest around them. Bake until the peppers have softened and the liquid in the pan has reduced to syrupy juices, 30-40 minutes. Serve warm. Everything looks so delicious…especially that Pilaf! Cenk, I love all the three dishes. The ingredients really make my mouth water. congratulations on such wonderful execution. Greetings from Singapure. I have to tell you that you are a truly great chef indeed and a really good photgrapher also! These all look wonderful. 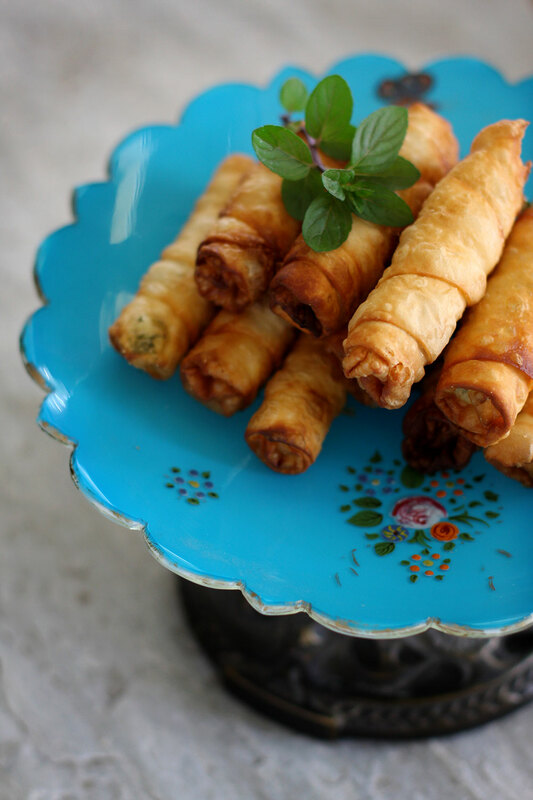 I’m especially keen to try the karniyarik – it looks so delicious, and great to serve to a crowd! Cenk, thanks for the wonderful recipes for authentic Turkish cuisine. They look great!! These photos are making me so hungry! 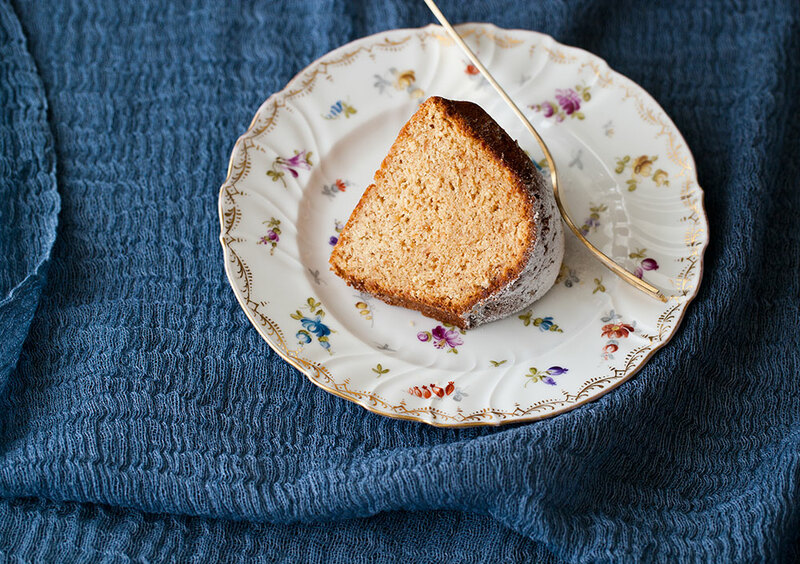 Great pics and delicious recipe. I love your choice of pots for the presentation. The purple backdrop is also great against the stainless steel. Congrats on the article!! My grandmother recently made me a couple logs of bastirma and they’re sitting in my freezer right now : ) (although in Halab they call it qadeed and not bastirma for some reason, but I love it all the same). You are a master in the kitchen. I love the pot with the cover in the 4th photograph. 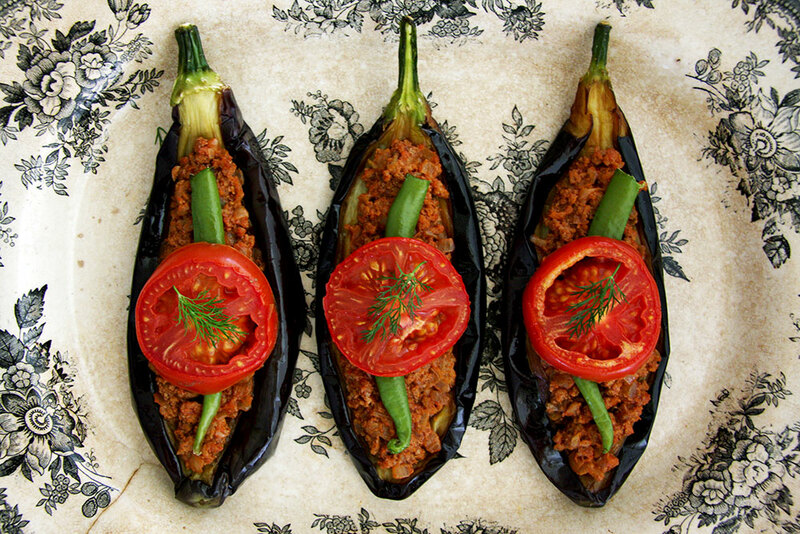 Cenk ~ I have a great weakness for aubergines and have made many “split belly” versions. I love the smokiness that is absorbed by the meat. 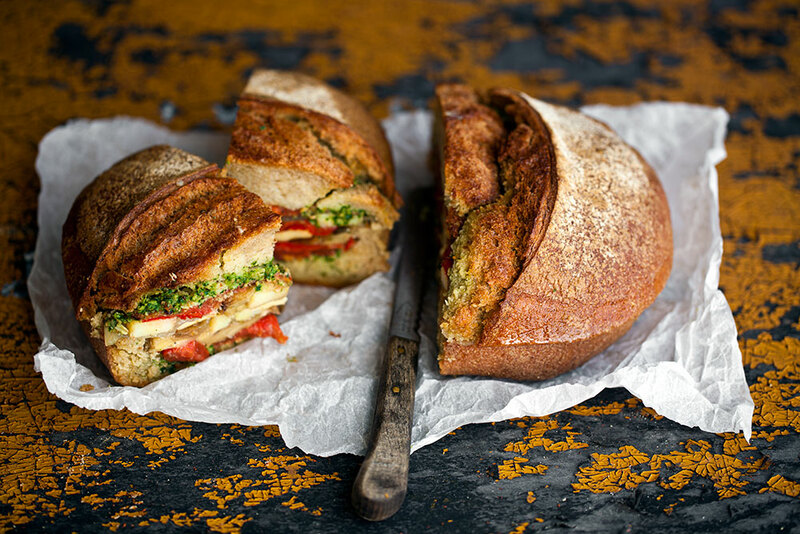 This is a killer of a dish – pitch-perfect, savoury, filling. I’ve cooked Karniyarik!wonderful!thank you for the recipe. 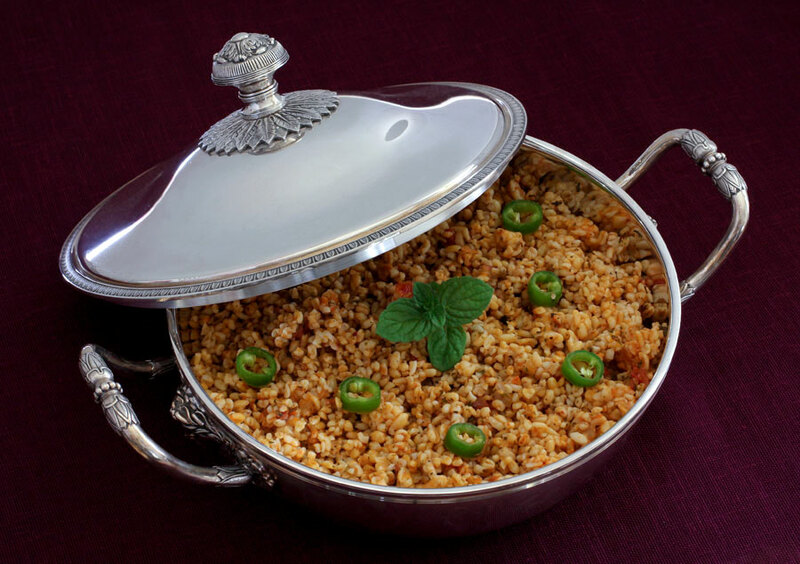 Finally a recipe for bulgur pilav that satiesfies my husband 🙂 I tried everything to make my bulgur taste like his mom’s but to no avail, until now 🙂 turkish men can be very particular about food, and us poor foreign women are just at a loss sometimes 🙂 Thanks Cenk! Marleen – Glad to hear your husband liked it! I’m so glad to have found your website. I spent 2 wonderful years living in Incirlik near Adana, Turkey. I remember the cigar borek, the fresh baked, crusty bread, and the eggplant Karniyarik. I also remember the warmth and friendship shown me by the Turkish people during my travels through their beautiful country. Wow, those pots are amazing. We have something very much like the borek in bosnia, burek, and im assuming it’s originally turkish. thank you for the recipe, i can taste it already! Hayatimda ilk defa senin tarifinle karniyarik yaptim. Gercekten anneannemin yaptiklari kadar lezzetlilerdi. Sanirim puf noktasi icine serpistirdigin seker. Bir suru tarife baktim ama bu kucuk detayi goremedim. Tariflerin ve muhtesem blogun icin cok tesekurler. Hergun isten eve gelince merakla guzel fotograflarinla suslenmis yeni yazdigin tarif ve yazilari okuyorum. Bu arada seninle ve okuyucularinla yeni kesfettigim bir dergiyi paylasmak istedim. Onceden soyleyeyim dergiyle uzaktan yakindan alakam yok, tesadufen online buldum uye oldum. Adi Cornucopia (http://www.cornucopia.net/) Dergi senede 3 kere Ingilizce basiliyor ve tamami Turkiye ile ilgili. Gercekten hem gorsel hem icerik acisindan muhtesem diyebilirim. Tarif icin tekrar cok tesekkur ederim. sibel – Afiyet olsun. Aslında karnıyarığın sırrı iyi patlıcanda. Şeker elbette tat katıyor ama babamın bahçesinden koparıp getirdiği ve annemin pişirdiği karnıyarığın yanına yaklaşabilen bir tane bile yemedim. Dergi linki için çok teşekkürler. Ben değilim ama arkadaşlarım abone, ve her sayısını ziyafet çekermiş gibi okuyorum. Esen – Market alışverişi olarak en iyi yerler Whole Foods ve Ferry Plaza’daki Farmer’s Market. Türk malzemeleri satan San Francisco içinde bir yer hatırlamıyorum. San Jose taraflarına arkadaşlarıma gittiğimde orada bulabilirdik ama adres vs. hatırlamıyorum. Eminim Google’a yazsan bulursun. Restoran önerisi olarak da ilk aklıma gelenler Betelnut, Slanted Door, In-n-Out Burger, Zuni Cafe ve Chez Panisse (Berkeley’de) ama genel olarak San Francisco’daki ucuz ufak restoranlar bile şahanedir. Aç kalınabilecek en son şehirde yaşıyorsun. oh my goodness!! i have to try the eggplants! i adore the turkish cuisine!